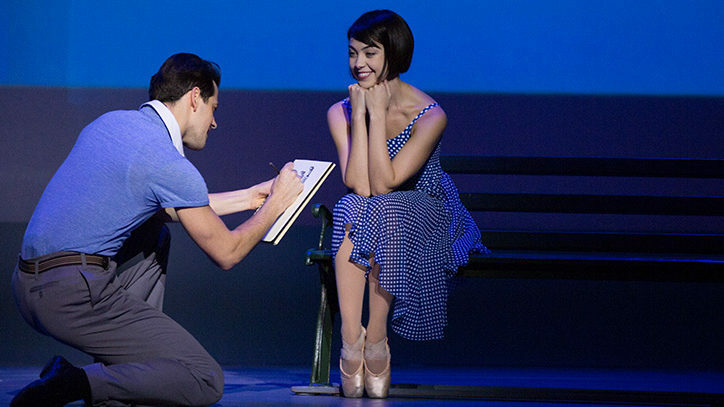 The stunning stage production of An American in Paris arrives at the Palace Theatre this spring, following its pre-Broadway engagement at the Théâtre du Châtelet in Paris. And yet Wheeldon and his creative team, including bookwriter Craig Lucas, have been able to hit some of the darker notes in Gershwin’s masterpiece, which were not part of the lighthearted Oscar-winning 1951 film, directed by Vincente Minnelli and starring Gene Kelly. The skeletal framework of Alan Jay Lerner’s screenplay is still there. Jerry Mulligan arrives in post-War Paris with painterly ambitions and allies with two buddies, the dyspeptic Jewish American composer Adam and Henri Bourel, a French aristocrat. Mulligan meets and courts Lise, a shy young store clerk and aspiring ballet dancer, even as he in turn becomes the object of desire for Milo, a wealthy heiress eager to help fund artistic careers. In this reimagined version, however, Lucas has put meat on those bones. The characters are much younger than their film counterparts are, and the story has been moved to the immediate aftermath of the war. The wounds are still fresh — literally, for Adam — as well as for a city still shaking off the trauma of the Nazi occupation. While the characters are now more complicated, the narrative is still driven by dance. 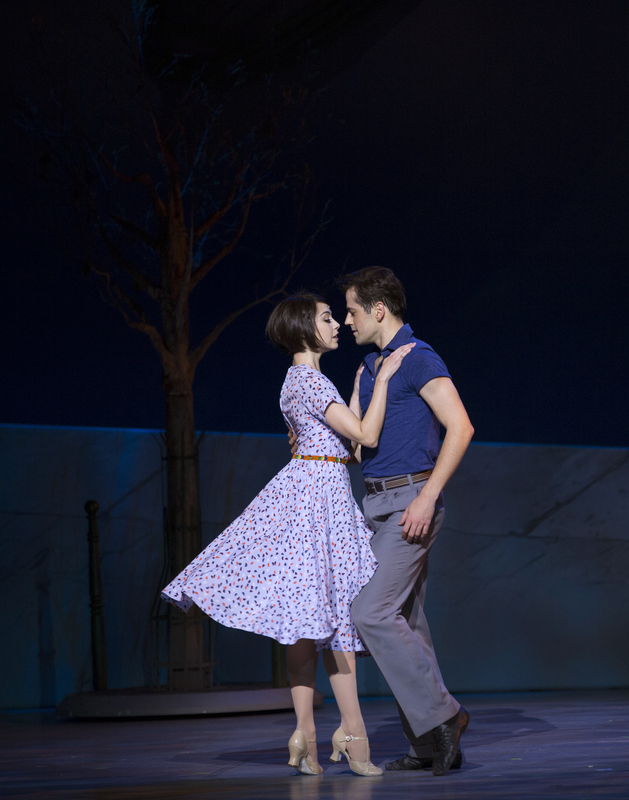 Wheeldon has upped the ante with ballet, modern dance, tap, jazz, and pastiche to accompany such standards as “I Got Rhythm,” “They Can’t Take That Away from Me,” “’S Wonderful,” and “But Not for Me.” According to Lucas, this version of An American in Paris is a seamless integration of song, choreography, and storytelling that is something of a throwback to the Broadway of Jerome Robbins and George Balanchine. The triple threat demands on the two leads presented a casting challenge that was finally met in Robert Fairchild, an NYCB principal dancer, and Leanne Cope, an artist with the Royal Ballet. Under tremendous pressure, they must not only make high-profile Broadway debuts but they must do so under the shadows of Gene Kelly and Leslie Caron, who created the roles on film. 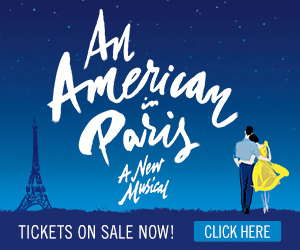 Learn more and buy tickets for An American in Paris on Broadway.